There’s a dark side to Toronto’s growth and prosperity: the growing gap between rich and poor. While it’s an issue facing cities across Canada, University of Toronto research has shown that this disparity is most dramatic in the GTA. While solutions aren’t easy to come by, giving the city’s most vulnerable residents a voice is a good place to start, says Kofi Hope, a U of T alumnus and one of the newly announced Bousfield Distinguished Visitors in Planning. The visitorship is awarded to practitioners and scholars who will spend a semester at the university engaging with graduate planning students in the department of geography and planning in the Faculty of Arts & Science. 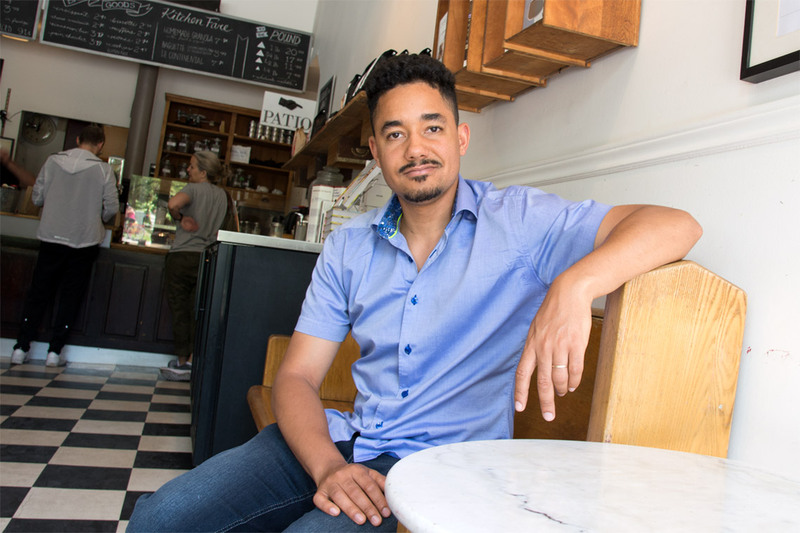 “For me, it's really about adding a new voice or voices to the conversation about city building,” says Hope, who completed his bachelor’s degree at U of T, a master’s as a Rhodes scholar at Oxford University, and a PhD at Oxford. After returning to Toronto, he founded and became the executive director of the CEE Centre for Young Black Professionals, an organization that helps to foster the careers of black youth in the city. Earlier this year, Hope stepped down from his role at CEE to focus on taking what he’s learned on a grassroots level into the policy sphere. “I find that's one of the reasons our policies suffer is you rarely get people who've actually been practitioners or worked grassroots,” he says. He hopes his role as a Bousfield Visitor will give him an avenue to do so, while being able to provide a valuable resource to planning scholars at the university. Hope and John Farrow, the president of engineering and planning consulting firm LEA Consulting, are this year’s Bousfield Visitors, following in the footsteps of Jennifer Keesmaat, the city of Toronto’s former chief planner, who held the position during the spring semester. Planning students at the university are very focused on the social equity issues around city building, says Richard DiFrancesco, chair of the department of geography and planning. “Planning is based on attempting to mediate the unintended consequences associated with overt acts to develop economies, to develop physical structures and infrastructure…and try to ensure that no individual or group is made worse off in an effort to increase average welfare,” he says. DiFrancesco says Hope will help bring that perspective to U of T’s planning community. Hope says his new role will include two major talks and community learning days where he will take students to different neighbourhoods in Toronto to speak with local experts about the issues their communities are facing, “and how planning interacts with their lives and what the effects are on real, everyday people, which can be very hard to have a full understanding if that isn't part of your lived experience,” he says. It’s vital for planners to have these conversations with community members across the city, says Hope, because leaving them out can cause serious harm to communities. He uses the example of the Regent Park redevelopment, when residents were temporarily displaced while their new housing was being built. “This was talking to some of the youth workers – they said you might be taking a young man or woman out of the community they're part of to another part of Toronto community housing but what you might be doing if that young person is caught up in a street lifestyle, is it's literally moving them into the territory of the people they're in conflict with,” says Hope. “So people they're in opposition with are now one floor above. That's going to be a huge increase in violence. Hope sees his upcoming term at U of T as both a teaching and learning opportunity. Starting in September, Hope will also be a senior policy adviser at the Wellesley Institute, which researches health equity across the GTA. He also works with the Atkinson Foundation and the Toronto Environmental Alliance.